Life gets in the way of hobbies. There, I said it. Most of you were thinking it, but you didn’t want to say it. It isn’t the adult thing to do. Hobbies are supposed to come after everything else in life, not the other way around. Perhaps that is true……but I don’t always think that way. In a perfect world my hobbies would be my job. There would be a way for my hobbies to support me, and fund themselves in the process. By the way, if you think that is what this blog is for, you’d be partly right. Someday, someday far in the future, I might have enough readers that this blog makes money….. but that isn’t the case right now. Right now, this blog is more like writing practice. It would be wonderful if it became more than that, but I don’t know if or when that will ever happen. Besides that necessary evil called work, life is full of things that take the hobbyist away from the hobbies. Household chores, inside and out, are a huge impediment to getting down to hobbies. If clean clothes and dishes are not a big priority, perhaps some more hobby time could be squeezed in. 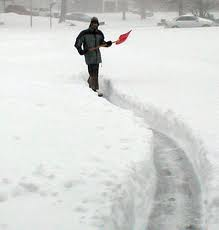 Of course, here in the Great White North, if you don’t shovel, you won’t be able to leave….. perhaps that could lead to more hobby time. Most of you, have other responsibilities that eat away at hobby time. If not responsibilities, there are other things to get in the way. Today is the Daytona 500. Anybody who likes modeling cars, might want to watch the race. Take those hours out of the hobby time. It has been said many times, something’s got to give. I want to hear from anyone who reads this blog. How do you set aside time to pursue your hobbies? 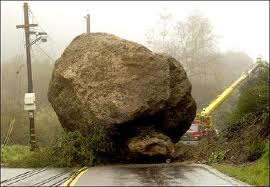 What gets in your way? Before the year is out, I have several lists to make. Some of them are private, but some I am willing to share. Some you’ll like, and some… you’ll wonder why I’m sharing them…such is the nature of blogging. The first is the list of things that are not hobbies, and outside of this list, should not appear in this blog. Shovelling snow. Despite the fact that I will have to do this for the next few months, and despite the fact that the news people/weather forecasters, having survived the end of the Mayan calendar, are now calling for the snowiest winter in living memory, this is not a hobby. It requires specialist equipment, and at times inhuman persistence, but it is not a hobby. Drinking egg nog or hot chocolate. Making the perfect cup of either of these two delicious things should be considered a hobby, but drinking them does not satisfy the definition. Commuting. Though it requires a certain tenacity, not to mention resistance to cold Canadian mornings, it does not qualify as a hobby. The things that make it go faster (reading, playing video games, shaking my head at what some people are wearing, and trying to stare at some of my beautiful fellow commuters) are hobbies, but you knew that already. Guessing the contents of presents before opening them. This is definitely fun, and requires some innate talent, but is not a hobby. I would wager to say it would make a great career if we could turn it into a carnival act, but it’s not a hobby. Eating ramen. In Japan, this is a hobby, or a career, or a lifestyle…maybe even a religion, but not in my current world. Sometimes I wish it were, but that’s another story. Cleaning. Fantastic if you like it. Creepy if you like it too much. A necessity for sure. Not a hobby. Sleeping. I covered this in an earlier blog (if you haven’t read it go check it out) and things still haven’t changed. It isn’t a hobby…despite my students’ insistence. Shopping. I know, I know, for some of you out there this is a hobby……..but I just can’t wrap my head around it, so I am going to have to say no. Feel free to convince me. I’m not saying it can’t be done. I don’t believe it can, but you might have a good argument. Maybe. Feel free to add to my list. And expect more lists as the year draws to a close. Some will look back at the past (as in what I accomplished this past year) and some will look to the future (what I hope to accomplish in the upcoming year).